I saw the Target sale advertised, but I had forgot about it. Tonight I just happened to go to Target with my daughter because we were both in the need of a gift. I was thrilled to find out that if you spent $75 from 5 pm Friday night-Saturday you got back a $10 gift card. 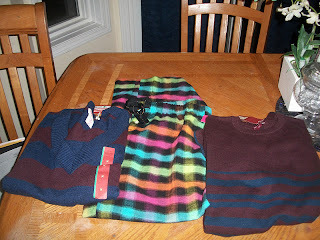 In addition many items were on special sale around the store just during that time. 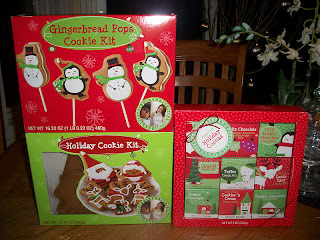 In the Christmas dept., many of their food gifts and stocking stuffers are 50% off! I bought 3 canes filled with candy for $1 each. They also had big canes on sale 3 for $4.98. I bought the cocoa mixes (reg $9.99) for only $4.99. 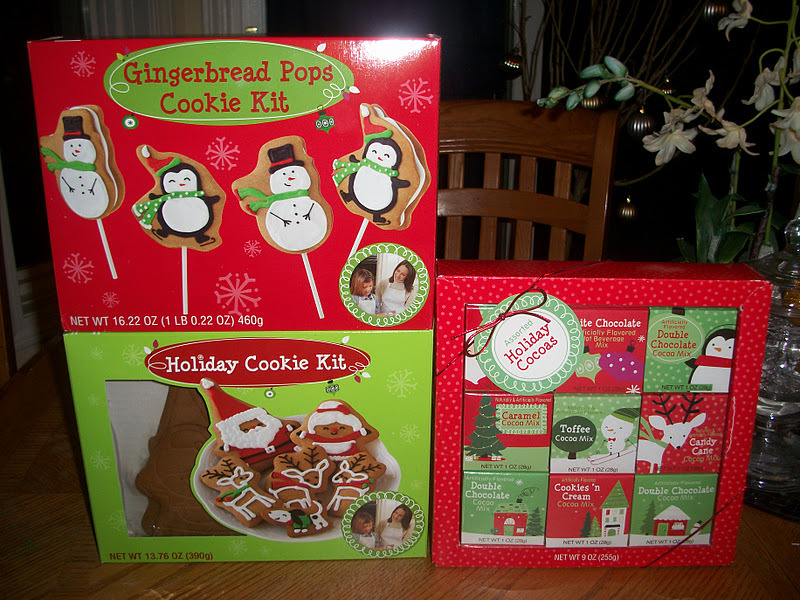 The cookies and pop kits were only $2.49 ( reg $4.99) and $2.99 (reg $5.99). We will probably give out the cocoa boxes as gifts. 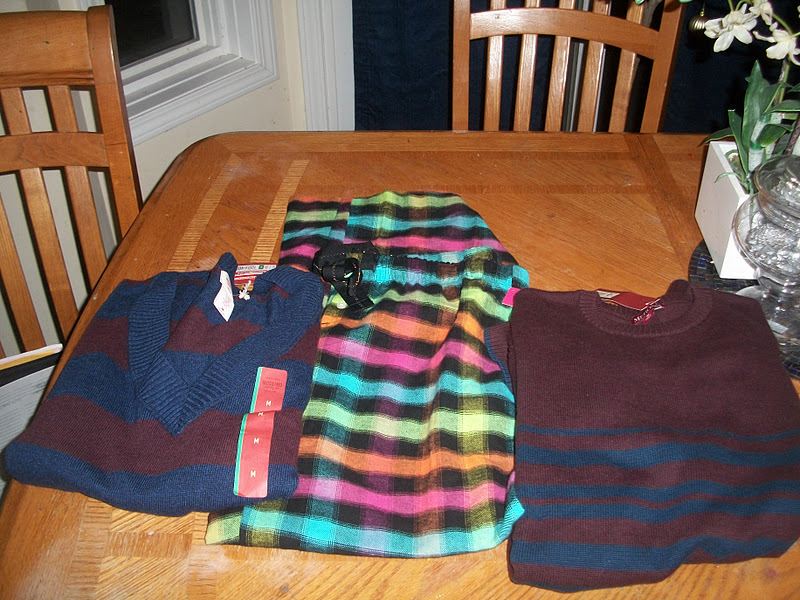 We also found some terrific clothing deals..
We bought a few other items that are not pictured. A vet toy set for my neice on sale for $10, an ITunes card for $15, and a box of Pokemon cards. I had my daughter add the ITunes and Pokemon cards to my order so I would be over $75. After applying her gift card and the coupons, my final price for everything was only $46.14 AND I got back a $10 gift card. Not too bad for several gifts, stocking stuffers and food items.